Dele Giwa was murdered for standing up to the lies and impunity of the ruling class. He paid the ultimate price. The man we are celebrating here today died at the age of 39. Most of us have since crossed that age. He was exposed to danger and had no protection for the job he did. 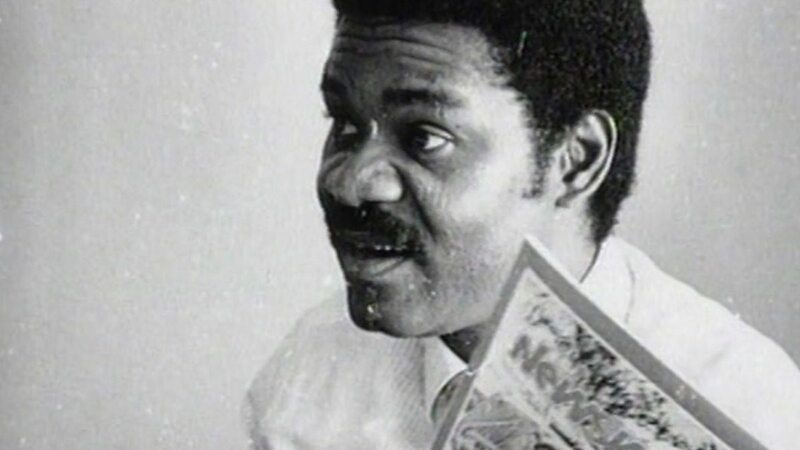 Dele Giwa was killed on October 19, 1986. History records the cause of his death as ‘letter bomb’. Since his death 32 years ago, several other journalists have either been maimed or killed, for just one ground – the same reason for which Dele Giwa met his end via a letter bomb. Materials published following his death, from accounts of Kayode Soyinka, who was the last man with him when his death came, point to the fact that the letter bomb came from government quarters. Several other accounts also corroborate this. Sadly, no one has been held to account for his death or even for delivering the letter bomb, even when leads had been given. Despite the fact that his death via letter bomb came with some shock and disbelief, many had thought that the unfortunate incident would signal an end to the murder of journalists. But that turned out a wishful thinking. Several accounts abound in the shelves of many libraries and websites, depicting scores of journalists that have been killed in Nigeria after Dele Giwa. For instance, New York-based Committee to Protect Journalists (CPJ) listed some of the names as Enenche Akogwu (Channels TV), who was killed in Kano on January 20, 2012; Zakariya Isa of Nigeria Television Authority, who met his end on October 22, 2011, in Maiduguri; Sunday Gyang Bwede of The Light Bearer, who was killed on April 24, 2010, in Jos, Plateau State; Nathan S. Dabak equally of The Light Bearer, who also was killed on April 24, 2010, in Jos; Bayo Ohu of The Guardian, who was shot at and killed in cold blood on September 20, 2009, in Lagos; Samson Boyi of The Scope, who was killed on November 5, 1999, in Adamawa State; Sam Nimfa-Jan, who, until he was killed on May 27, 1999, in Kafanchan, Kaduna State, worked for The Detail; Fidelis Ikwuebe, who worked as a freelancer and was murdered on April 18, 1999, in Anambra State; Okezie Amaruben of Newsservice, who met his end on September 2, 1998, in Enugu State; and Tunde Oladepo of The Guardian, who was killed in Abeokuta, Ogun State, on February 26, 1998.
in Shasha area of Lagos State on April 24, 2010; Ephraim Audu of Nasarawa State Broadcasting Service, who was murdered on October 16, 2008, in Lafia, Nasarawa State; Paul Abayomi Ogundeji of ThisDay, he was killed in Dopemu area of Lagos State on August 16, 2008. State government has long named its press centre in Alausa after him. I guess these names don’t bore you. We shall keep remembering them as sad pointers to a past where impunity reigned and where courageous pens were silenced with bullets, not superior arguments. Statistics also have it that 110 journalists were killed worldwide in 2015 alone. This was contained in the reports of Reporters Without Borders (RSF) in its annual report of 2016. Of this number, 67 were killed in supposedly peaceful countries, while the rest were killed in war zones. Thirty-One were killed between January and September of 2016 in Libya, Iraq, Pakistan, Yemen, Brazil, Ukraine, Syria, Mexico, Turkey and Afghanistan. The report also highlighted the plight of 54 journalists, who were held hostage at the end of 2015. It said 26 of them were in Syria, while 153 journalists were in prison with 23 of them in China and 22 in Egypt. Syria, Yemen, Libya, Iraq, Turkey, Afghanistan, Pakistan, Mexico, India, Brazil, Ukraine and Guinea were also listed by CPJ as most dangerous countries for journalists in 2016. Nigeria made the list in 2003, but no longer. A further breakdown of available statistics showed the beats covered by victims of fatal attacks. According to CPJ, Business beat constitutes 6 percent; Corruption, 23 percent; Crime, 23 percent; Culture, 13 percent; Human Rights, 16 percent; Politics, 42 percent; Sports, 6 percent; and War, 68 percent. These statistics are self-explanatory. It shows exactly why violence against journalists is high in some countries. The CPJ analysis also showed the types of deaths suffered by journalists. It put deaths from crossfire/combat as constituting 42 percent, deaths from planned assassinations at 45 percent, and deaths from dangerous assignments at 10 percent. You can now say where Dele Giwa’s unfortunate murder falls in and why. From the statistics above, Dele Giwa was murdered for standing up to the lies and impunity of the ruling class. He paid the ultimate price. Sadly, the issues for which his life was brutally cut short are still with us. That means many more journalists may have to also pay the ultimate price, if our society will know the truth and follow it. With the advent of new media, the threat has increased. There has been a rising wave of threats to, and at times, outright arrest, imprisonment or prosecution of online media proponents and bloggers. The first time this trend reared its head was in Bauchi State, when a civil servant who criticised his governor over Facebook was arrested and detained. However, violence against journalists is a trend that should worry you and me. The reason government is scared is because of its rising profile of impunity. Governments at all levels in Nigeria have operated in a manner that suggests antagonism to media. And the reason is simple – corruption. The first victim of a corrupt society, where impunity has replaced order, is the free press. I have not seen any corrupt government, which is at home with the free press. of journalism that delivers for the media organisation, the society and the journalists as well. Whither art thou David Umahi?